There are no other flowers as beautiful and fragrant as the spring ones! And although the weather outside is showing no signs of spring approaching, we have an idea how to help you invite the wonderful season into your home a little bit sooner this year. We've selected the most vibrant spring flowers that are sure to awaken the feelings of hope, freshness and energy that the season always brings along. Sending them to your loved ones or ordering them for yourself is the most certain way to get in the cheerful mood of the upcoming season. 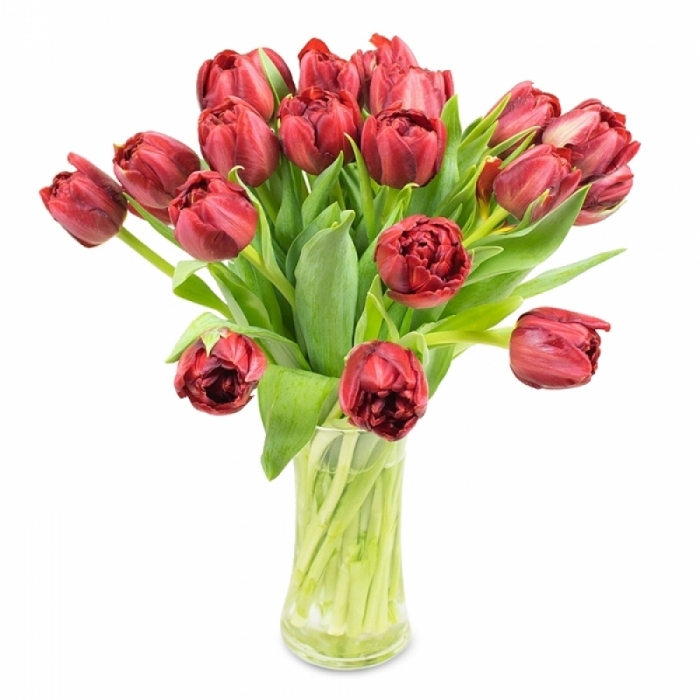 An abundant bouquet of tulips can instantly make you feel the spring in the air. 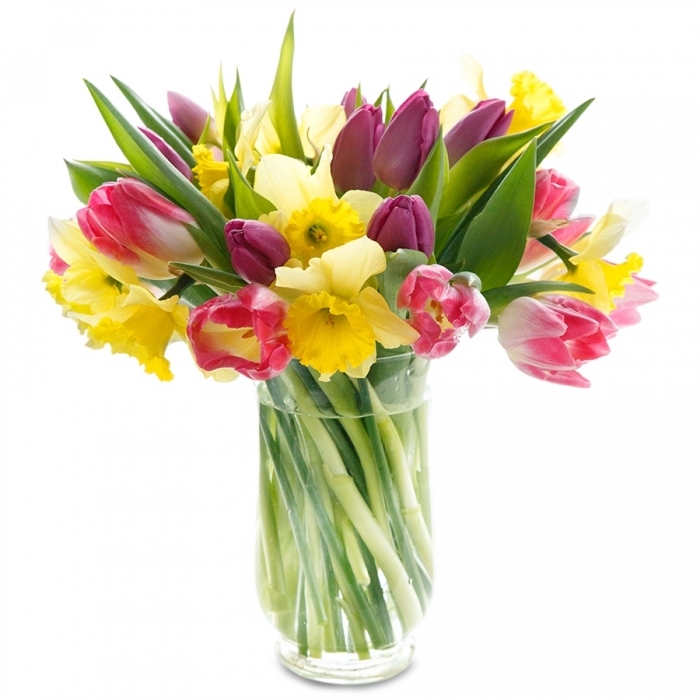 These are among the most popular spring blooms because they make a great gift for any occasion. They are not too elegant or too fancy, and can be complemented well by lots of other beautiful flowers such as lilies, daffodils, statice flower, roses, etc. Step into spring with the sweet smell of hyacinth. It is one of the most fragrant flowers that is guaranteed to stand out and freshen up any room. The flower comes in variety of bright colours including blue, orange, yellow, pink, purple and red. The blue hyacinth is thought to symbolize sincerity; purple hyacinth is associated with asking for forgiveness; white hyacinth stands for sending prayers to someone in need. These flowers last a very long time thus they make a perfect gift to remind your loved ones that the cold winter will be over soon and a warm, sunny spring will take up its place. A bunch of freshly cut daffodils speaks "Spring has arrived!" These vibrant floral jewels symbolize rebirth and new beginning, creativity and inspiration, memory and forgiveness. The bright, trumpet-shaped daffodils make a lovely gift to brighten up someone's day and bring sunshine into their home. Spring flowers always bring along a feeling of freshnesh and positivity. They make any room feel light, airy and cozy. Welcome the cheerful spring with a burst of freshly cut flowers and let everyone feel the excitement and beauty of the upcoming season!